As I continue to celebrate the fiftieth anniversary of “Star Trek,” here are some golden moments from many of my favorite episodes from the TV series. As soon as I have finished watching the six movies starring the show’s original cast, I shall have a new post ready with more superb clips. “Charlie X” [S1 E2] – There are some rooms on the Starship Enterprise which we only saw once or twice; one such place is the exercise area, in which Captain Kirk attempts to show a confused teenage passenger, Charlie (played by Robert Walker, Jr.), how to work off his teen angst with some martial arts-lite moves. Kirk’s training tips are not particularly helpful, but it’s an awful lot of fun watching William Shatner roll around wearing what appear to be several layers of Spanx. “The Naked Time” [S1 E4] – The crew is overwhelmed by an unknown germ which strips them of their inhibitions, like a kind of extraterrestrial alcohol. Sulu believes he is a dashing swordsman – while pursuing Uhura, he makes the mistake of calling her a “fair maiden,” to which she replies, “sorry, neither!” – and Spock’s surge of emotion causes a plethora of problems when he interacts with Captain Kirk. “The Corbomite Maneuver” [S1 E8] – But first, the tranya. The Enterprise is held in the orbital grip of a frighteningly powerful planet, which appears to be ruled by a grotesque entity (described in one fan’s review as “Nosferatu lying on the bottom of a swimming pool”). The mysterious alien scares the living bejesus out of everyone – or maybe just me – for the entire episode but when Kirk finally beams over to the planet, it turns out that the supreme being he saw was merely a puppet (albeit a very creepy one) and the actual leader is an adult who looks like a small child… played by seven-year-old Clint Howard (Ron’s younger brother). “Shore Leave” [S1 E15] – Oh, McCoy, you old rascal. Flirtation is usually Captain Kirk’s department, but in this episode our favorite country doctor gets to stroll through a meadow with a lovely young shipmate, Yeoman Tonia Barrows (Emily Banks). “The Devil in the Dark” [S1 E25] – An underground mining colony is terrorized by a monster which resembles an old pizza on top of a pile of meatballs. Our favorite Vulcan does a mind-meld with the creature, which we learn is called a Horta. Leonard Nimoy praised the episode, saying that “it was about the way we tend to demonize the things that we don’t know or understand or the people that we don’t know or understand.” And, as we learn at the episode’s end, the Horta also has impeccable taste. “The City on the Edge of Forever” [S1 E28] – Often cited as the all-time greatest “Star Trek” episode, “City” has a plot that would take me far too long to explain, but there are two things which are clear: 1) Spock wears a terrific hat to hide his ears, and 2) the ending – in which Kirk must sacrifice the woman he loves, Sister Edith Keeler (Joan Collins), because whether she lives or dies in 1930 will alter the rest of human history – is one of the saddest of the show’s run. “Operation — Annihilate!” [S1 E29] – Attack of the flying latkes! “I, Mudd” [S2 E8] – For sheer comic craziness, no episode can ever top “I, Mudd.” Captain Kirk and his crew outwit a bunch of androids by acting bizarrely; the illogical actions promptly fry the robots’ brains. 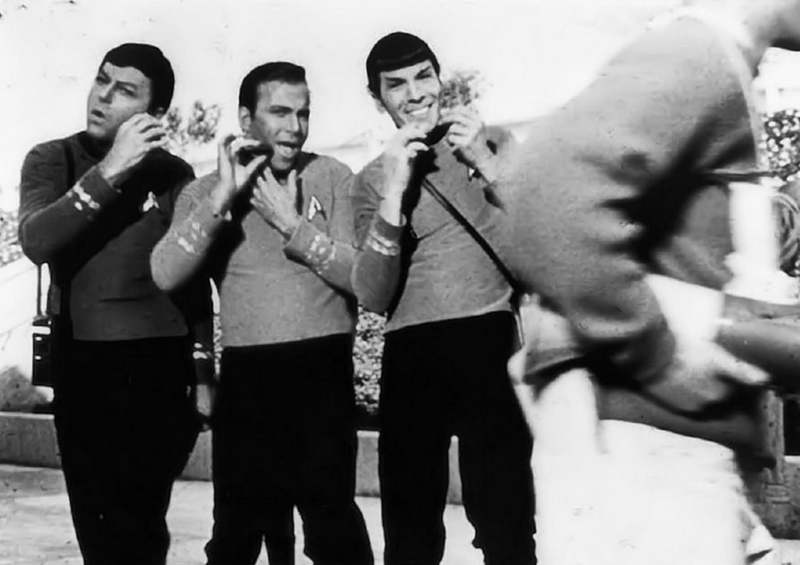 I guess that the Academy offered improv classes in addition to all the other Starfleet requirements. “Wolf in the Fold” [S2 E14] – Captain Kirk should probably know better than to invite Spock to a weird outer space nightclub. “The Trouble with Tribbles” [S2 E15] – Here we witness one of William Shatner’s most memorable moments on the “Star Trek”: Captain Kirk mired in a swamp of little Tribbles, a number of the fuzzy beasties being thrown directly at Shatner’s head by the show’s crew. “A Piece of the Action” [S2 E17] – On the fly, Captain Kirk (stuck with Spock and Dr. McCoy in a world modeled on 1920s Chicago) improvises a card game to distract his captors: “Fizzbin.” My personal favorite touch in this gem of a scene: when Kirk explains the astronomical odds of getting a “Royal Fizzbin” hand, Spock nods and mouths “astronomical” in agreement. “Return to Tomorrow” [S2 E20] – Ancient alien consciousnesses want to inhabit the “receptacle” bodies of Kirk, Spock and Dr. Ann Mulhall (Diana Muldaur) so that the long-dormant beings may live again? Sure, what harm could there be in that? William Shatner does some wonderfully strange/hammy gesticulating when one of the entities, Sargon, occupies his mind for the first time; later, Shatner delivers one of Captain Kirk’s greatest monologues when he reminds his shipmates of the crucial scientific and philosophical imperatives which give meaning to the Enterprise’s intergalactic explorations. P.S. Fun fact: Sargon is voiced by James “Scotty” Doohan (minus the Aberdeen burr, obviously). “By Any Other Name” [S2 E22] – Scotty is one of my favorite characters; I just adore James Doohan. One of Scotty’s finest showcases is in this episode from the tail end of season two, in which he does his best to weaken an alien intruder by getting him super drunk. Bonus – some delightful decor: the kilt and bagpipes on display in Scotty’s quarters. “Requiem for Methuselah” [S3 E19] – Where did Spock learn to play the piano? Surely such an endeavor would not be a normal activity on Vulcan since the performance of music requires the engagement of emotion. In any case, apparently Spock is well-versed in Brahms. “The Way to Eden” [S3 E20] – This is a much-maligned episode (who in their right mind would want to see Captain Kirk deal with space hippies? ), but I have a real weakness for its goofy musical scenes. Charles Napier, as an enthusiastic peace-seeker named Adam, leads an embarrassing anthem for his group, but the true joy comes later when Spock joins in with some tuneage from his Vulcan lyre. Far out, man. I recently started and finished watching the entire original series of “Star Trek” (three seasons, 1966-1969). One of the most striking elements of the show’s design was its use of costumes, all of which were designed by William Ware Theiss, who later designed costumes for such films as Harold and Maude (1971), Bound for Glory (1976), Who’ll Stop the Rain (1978), Goin’ South (1978) and Butch and Sundance: The Early Days (1979). This post honors seventeen of Theiss’ most inspired (and in many cases, most revealing) creations. “What Are Little Girls Made Of?” [S1 E7] – Sherry Jackson, playing an android named Andrea, wears a rather flimsy set of overalls, while Ted Cassidy, as a menacing android named Ruk, wears what looks like a glued-together pile of random weird fabrics. I also like the boilersuit (if that’s the right terminology) worn by Dr. Korby (Michael Strong). “Shore Leave” [S1 E15] – When the crew of the Enterprise makes the mistake of taking shore leave on a planet which is basically just a gigantic amusement park, Dr. McCoy’s “death” is resolved at the episode’s end by having merely been an illusion, like all the other bizarre events that happened; when he returns to his astonished crew, McCoy is accompanied by two Vegas-looking showgirls he fondly remembered from a past rendezvous. “The Return of the Archons” [S1 E21] – Members of the Enterprise’s crew beam down to a world that appears to be modeled on the US circa the late 1800s, and before doing so, the crew members all don excellent, period-appropriate attire. My personal favorite look is Spock’s cloak, which would look unusual in most any era. “A Taste of Armageddon” [S1 E23] – Dig some of these crazy outfits! I love whenever Theiss had to design hats for the guest actors. “Amok Time” [S2 E1] – One of the all-time classic episodes of the original series, “Amok Time” features Spock in the throes of pon farr, the Vulcan mating cycle that occurs once every seven years. He and the Enterprise crew travel back to his home planet, also called Vulcan, where Spock expects to wed the bride chosen for him during childhood, T’Pring (Arlene Martel, who in 1961 had guest-starred as the morgue nurse with the catchphrase “Room for one more, honey!” in one of my favorite “Twilight Zone” episodes, “Twenty Two”). This scene shows T’Pring and also the leader of the Vulcans, T’Pau (veteran character actress Celia Lovsky). Naturally, complications ensue when T’Pring decides that a simple wedding is not enough and instead she would rather see Spock and Kirk engage in a fight to the death. Needless to say, all of the costumes are terrific. “Who Mourns for Adonais?” [S2 E2] – Apollo (Michael Forest) uses his powers to dress Lt. Carolyn Palamas (Leslie Parrish) in a gown befitting Aphrodite, an outfit which is held up only by the weight of the train draped over the lieutenant’s shoulder. I only wish that this clip displayed the rich color and sparkle of the costume, which you can see in its perfection on the remastered DVD of the show, as well as the amount of leg visible on both sides of the skirt. “Mirror, Mirror” [S2 E4] – How you know that Captain Kirk, Dr. McCoy, Scotty and Lt. Uhura have been transported to an parallel-universe version of the Enterprise: a) there are even skimpier costumes (nice abs, Nichelle Nichols! ), b) everyone on the ship does Naziesque salutes and c) Mirror Universe Spock has a Beard of Evil. “Journey to Babel” [S2 E10] – During a diplomatic mission in which the Enterprise carries ambassadors from many different worlds – including Spock’s Vulcan father, Sarek (Mark Lenard), and Spock’s human mother, Amanda (Jane Wyatt) – to a peace conference, you get to see the ship’s top-ranking officers in the jackets required for special occasions such as this one, as well as the diverse set of costumes worn by the plethora of life forms inhabiting the Enterprise during the voyage. “Friday’s Child” [S2 E11] – These are truly both the funniest and the ugliest costumes that any guest villains had to wear on “Star Trek.” Get a look at those ponytails! Bonus: Julie Newmar as that week’s damsel in distress. 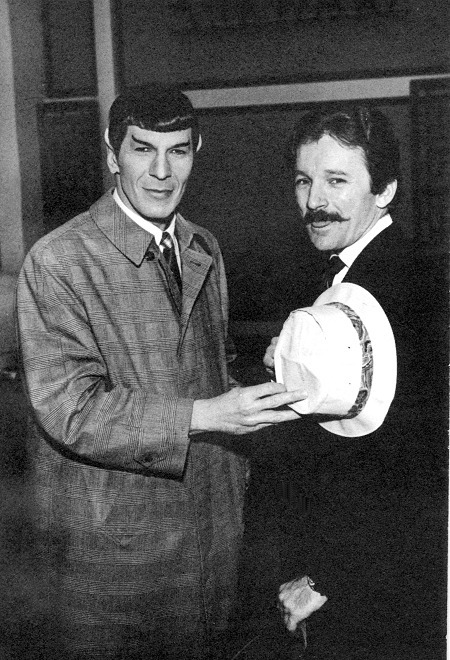 “A Piece of the Action” [S2 E17] – Kirk and Spock in 1920s-era suits and fedoras! I’ll bet these costumes were half the reason why this episode, set on a planet that believes in Prohibition-era Chicago as the ideal model for their society, was put into production in the first place. “Assignment: Earth” [S2 E26] – The final episode of season two was also essentially a pilot for a show (of the same name) that Gene Roddenberry was hoping to launch; it didn’t happen, so instead we’re stuck with these weird “Star Trek” episode that focuses more on a Doctor Who-type character (played by Robert Lansing) and his companion (Teri Garr) than on Kirk, Spock or anything else happening on the Enterprise. Kirk and Spock (the latter of whom has a hat to hide his Vulcan ears) wear some great 1968-era outfits, though, and Teri Garr’s kind of psychedelic outfit is cute. Warning: this clip contains strobe effects and many bright, flashing lights. “Is There in Truth No Beauty?” [S3 E5] – Diana Muldaur is one of my favorite actresses who appeared on “Star Trek”; not only am I partial to her since she was born in Brooklyn, but she also holds the distinction of being one of the few guest stars to play multiple characters in multiple episodes. Each of Diana Muldaur’s characters was an intelligent, high-ranking woman working either in Starfleet or elsewhere in the Federation; in season two episode “Return to Tomorrow” she played Dr. Ann Mulhall, a science officer (described as an “astrobiologist”) newly assigned to the Enterprise during that episode, and in “Is There No Beauty?” she plays Dr. Miranda Jones, assistant to the Medusan ambassador Kollos. 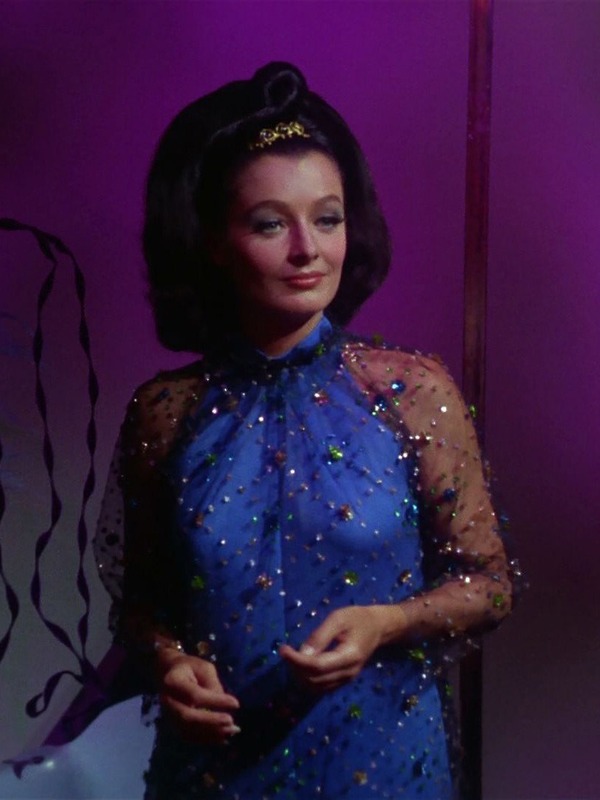 I used a clip from the latter episode because Muldaur’s Dr. Jones has a fantastic upswept hairdo and she wears many beautiful gowns – besides this one (seen here in full length), there is a blue gown and also a black gown that looks incredible in motion – and all of the outfits are covered in “sensor webs” to aid her since she is blind (though the other characters don’t realize it until near the end of the episode). P.S. Diana Muldaur’s “Star Trek” career continued twenty years later when she had a recurring role as Dr. Pulaski on the TV series “Star Trek: The Next Generation” in 1988. 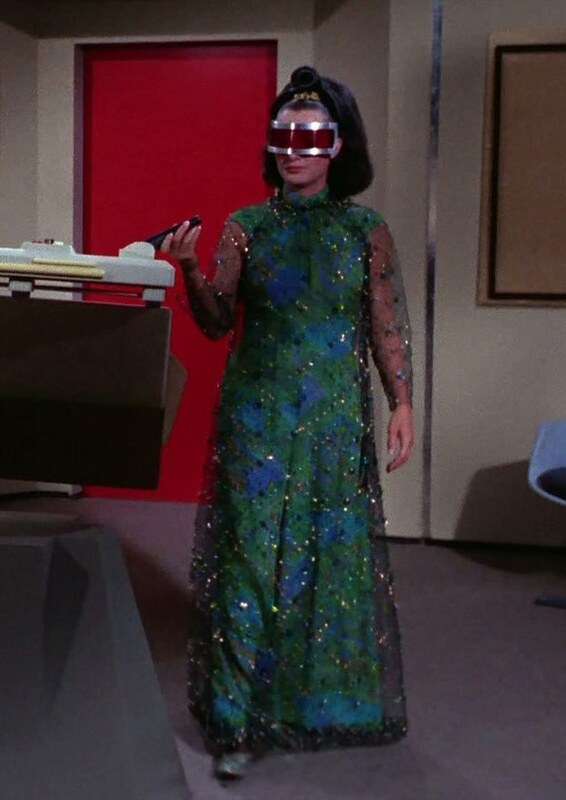 “For the World Is Hollow and I Have Touched the Sky” [S3 E8] – Natira (Katherine Woodville) and her fellow countrymen on the world of Yonada wear many colorful designs, clearly utilizing a lot of whatever CBS had available (“Star Trek” was always a low-budget show, especially in its final season). “Plato’s Stepchildren” [S3 310] – Primarily famous as the episode in which Captain Kirk and Lt. Uhura (Nichelle Nichols) share a kiss (a first for interracial kisses on American television), “Plato’s Stepchildren” also makes great use of glittery togas and laurels. (Our heroes are prisoners on a planet based on ancient Greek history and mythology, where all the beings there have telekinetic powers which hold Kirk, Spock, Uhura and Nurse Christine Chapel captive.) The forced kiss between Spock and Christine is particularly cruel not just because Spock is incapable of emotion, but because it is established early in season one that Christine has a crush – obviously unrequited – on her Vulcan comrade. “The Way to Eden” [S3 E20] – Most fans describe this episode as one of “Star Trek’s” worst. I mean, yeah, it’s all about hippies in space, but look at Charles Napier’s outfit! A horrible hairpiece, a costume that looks like a typical challenge-losing design from “Project Runway,” and extremely high boots. All that, and he sings too! 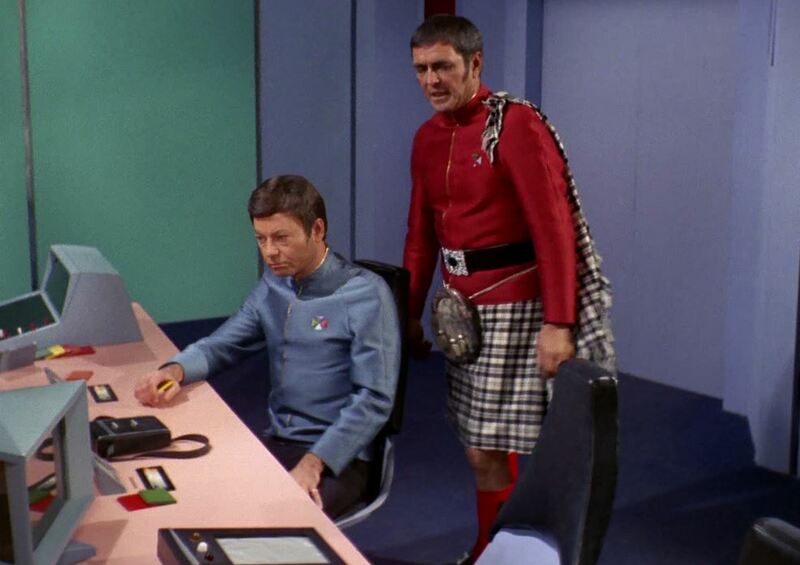 “The Savage Curtain” [S3 E22] – Probably best remembered as the episode that involves a projection of Abraham Lincoln (played by Lee Bergere), we see the Enterprise’s top officers wearing their special-event finery (like we also saw in the “Journey to Babel” clip), but I particularly love Scotty’s kilt, the tartan fabric of which connects to the top of his uniform jacket. “All Our Yesterdays” [S3 E23] – The series’ penultimate episode might have the most entertaining costume reveal of all. Stuck in a musty cave during an ice age, Zarabeth (Mariette Hartley) sees her opportunity for romance when Spock and McCoy fall through a time portal and end up in her neck of the woods, so to speak; the lonely woman instantly falls in love with Spock, and despite the freezing cold temperatures, Zarabeth has clearly made the right choice for what to wear under her winter coat. Ninety years ago today, my great-uncle Jerome Raphel (sometimes spelled in his acting credits as “Jerome Raphael”) was born. Jerry, or “Unc” as he was known in our family, was a colorful character. He had a short but memorable career as an actor in stage productions, films and television shows in the 1950s, 60s and 70s. He never became a household name, but he made an undeniable mark on the acting world because of the high caliber of his performances and the respect he earned from his colleagues. Jerry was born as Joseph Raphel (later changed to “Jerome”) on November 1, 1925. He had two older siblings, Aaron (my mother’s father) and Rebecca (who died before Jerry was born). 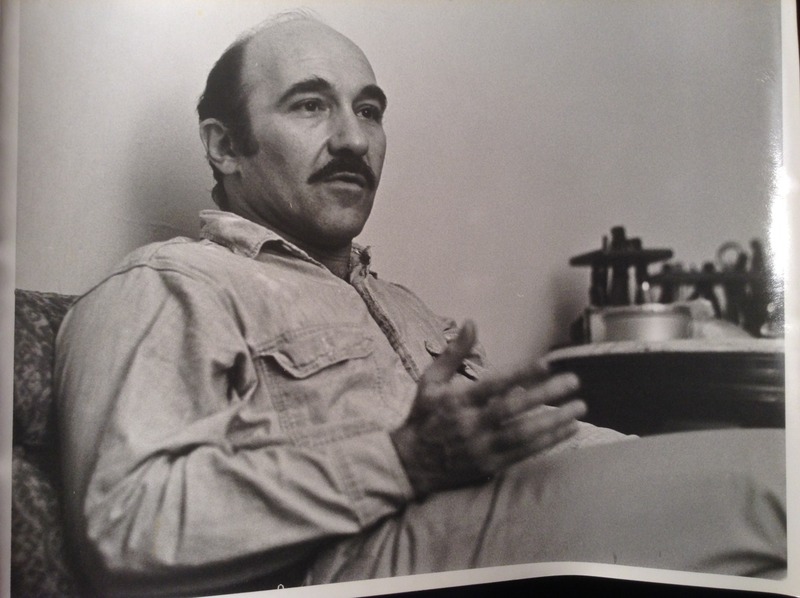 A New Yorker all his life, Jerry graduated from Boys High School in Brooklyn and attended Rutgers University, receiving his degree in psychology after World War II and holding a membership in the Phi Beta Kappa Society. 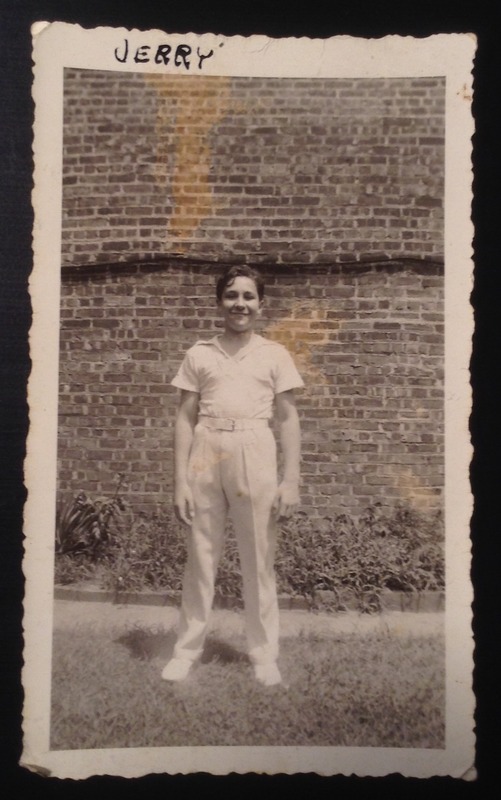 Prior to his completing his college education, Jerry served as a Marine in the South Pacific during WWII (he signed up when he was underage), surviving the Battle of Iwo Jima. 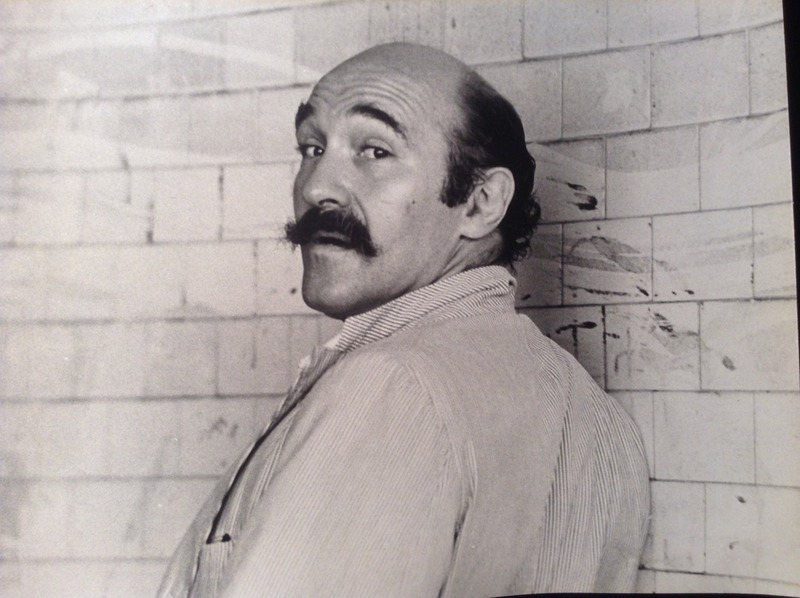 When he became an actor he was part of the artistic, avant-garde milieu in NYC in the 1950s and 60s, including figures from the Beat Generation and theatrical personalities like Judith Malina and Julian Beck, the founders of the Living Theatre, a group to which Jerry belonged. He counted the poets W.H. Auden and Chester Kallman, writer/filmmaker Susan Sontag, psychiatrist Fritz Perls and novelist/psychotherapist Paul Goodman among his friends too. Attentive film buffs and scholars might recognize Jerry from the feature films The Connection (1961) and The Cool World (1963), both directed by Shirley Clarke. (In the trailer for The Connection, posted above, Jerry has a speaking part starting at the 0:28-second mark. By the way, a fun fact: my father saw Jerry perform in the original stage version of The Connection, two decades before my parents actually met!) These films are classics of women’s cinema and New York independent cinema from the early 60s; The Cool World was nominated for the Venice Film Festival’s highest honor, the Golden Lion, and the film was added to the Library of Congress’s National Film Registry in 1994. Jerry also had roles in Adolfas Mekas’s Hallelujah the Hills (1963) and The Double-Barrelled Detective Story (1965), as well as Abraham Polonsky’s Tell Them Willie Boy Is Here (1969), an A-list Western that stars Robert Redford, Katharine Ross and Robert Blake. Jerry worked with Shirley Clarke because he was a member of the Living Theatre. He toured with the troupe all over the USA and in London. 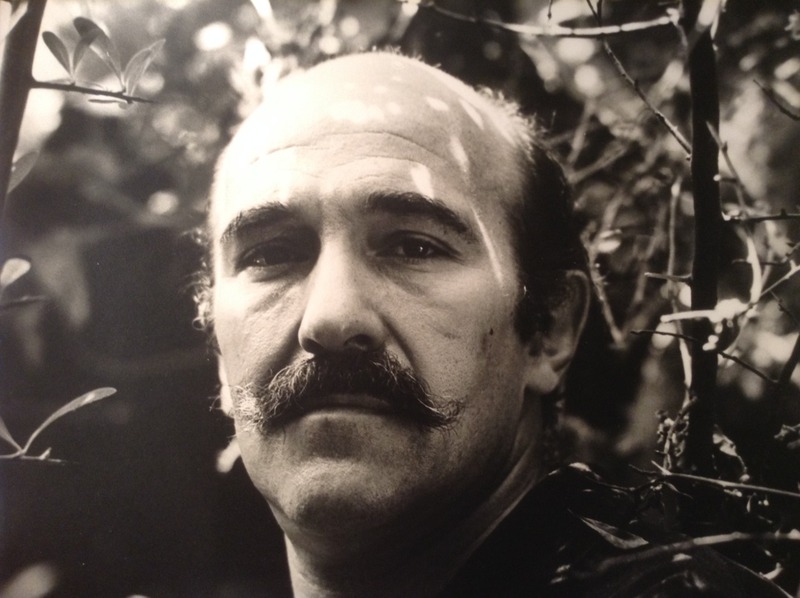 According to the Internet Broadway Database, his Broadway productions include Lorenzo (1963), staged by Arthur Penn and co-starring Alfred Drake, David Opatoshu, Fritz Weaver (a quick note: my mother ran into in Mr. Weaver in Manhattan many years ago – he fondly remembered Jerry and asked how he was), Carmen Mathews and Herb Edelman; The Seagull (1964), directed by Eva Le Gallienne and co-starring Farley Granger, Denholm Elliott and Thayer David; and The Crucible (1964), directed by Jack Sydow and co-starring the same cast from The Seagull. 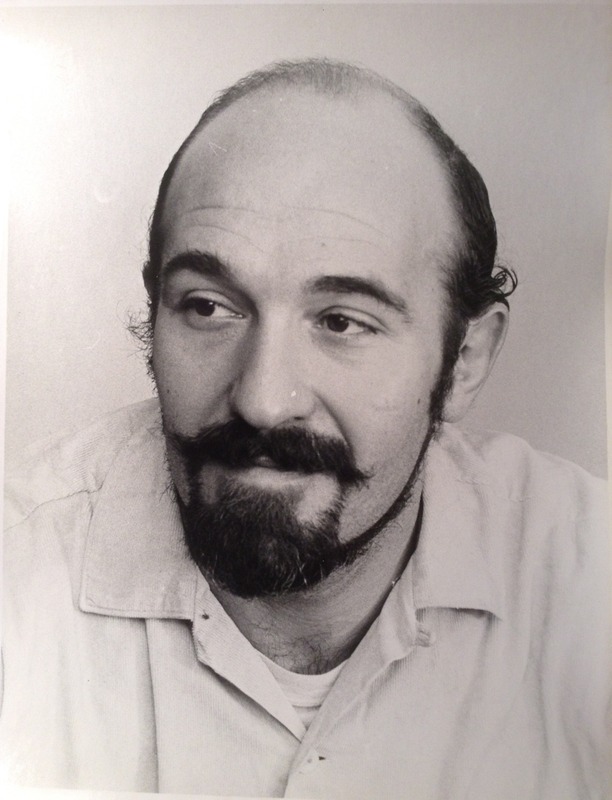 Jerry appeared in many other notable productions on Broadway and off, like the American Place Theatre presentation of Anne Sexton’s Mercy Street (1969), which co-starred one of the great ladies of the American stage, Marian Seldes, in addition to Shakespearean experience by appearing opposite James Keach in a 1972 production of The Tempest in New York and working with the Stanford Shakespeare Company in California. Taking a look at his IMDb filmography, you can see that Jerry appeared on TV in the shows “Route 66,” “Naked City,” “For the People” (a short-lived crime drama that starred William Shatner, Howard Da Silva and Jessica Walter), “Get Smart” and “Sesame Street.” I think Jerry’s segments for “Sesame Street,” in which he always played a victim of Paul Benedict’s digit-crazy “Number Painter” character, are how he is best remembered by those who seek out classic TV on YouTube. (Certainly the fact that he has a profile on the Muppet Wiki site indicates that there are some fans who remember his contribution to television/pop culture.) Two other clips of Jerry working with the “Number Painter” can be seen here and here. Jerry lived a long life in Brooklyn, passing away on November 8, 2012, one week after his 87th birthday. 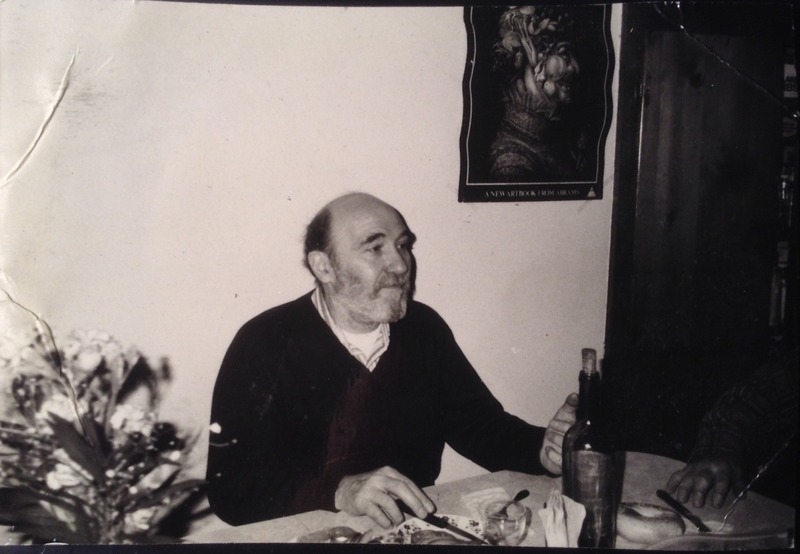 He had an impish sense of humor and an eccentric wit – sometimes, on choice occasions like Passover, even playing the role of prankster – besides being an extraordinarily generous man. Throughout his life Jerome Raphel was a great storyteller and also a wonderful listener, entertaining us with his endless supply of anecdotes and quips. He is remembered by several generations of loved ones, many of whom have followed his path into the world of the arts. As The Late Show with David Letterman comes to a close, signaling the end of thirty-three total years of Letterman’s hosting duties on that program (1993-2015) and Late Night with David Letterman (1982-1993), I would like to share five of my favorite interviews that Letterman has conducted during his decades as a late night talk show host. Network TV won’t be the same without his eccentric comedy. (I realize now, after compiling the list, that all of the guests I am showcasing are men, but my choices were not actively intended to exclude female interviewees.) Anyway, enjoy these wonderful clips! Bill Murray was Letterman’s first-ever guest on Monday, February 1, 1982. For what it’s worth, Murray has lived up the promise he made that night: “I swear, Letterman, if it’s the last thing I’m gonna do I’m gonna make every second of your life from this moment on a living hell.” It has always been a treat to see Murray and Letterman together, including the penultimate show earlier tonight (well, since it is almost 5:00 AM now, I mean last night), during which Murray burst out of a “Goodbye Dave” cake and smothered Letterman in a crumb-filled embrace that left the host wearing a frosting beard. When people think of the combined terms “Joaquin Phoenix” and “Letterman interview,” they probably remember Phoenix’s infamous 2009 interview in which he was in the guise of Joaquin-Phoenix-the-actor-turned-rapper. The chat culminated in a brilliant send-off from Letterman, who had not been in on the joke: “Joaquin, I’m sorry you couldn’t be here tonight.” What I particularly love, though, is this 2010 interview in the video posted above, which was Phoenix’s first return to the show as his normal self to promote the mockumentary I’m Still Here (2010) about the ruse. Letterman fires some great lines at Phoenix for having duped him in that previous interview. All things considered, Regis Philbin is my favorite Letterman guest. There is simply nothing better than their rapport, a true friendship that allows them to do things both silly (sharing laughs over ice cream) and serious (discussing what it means for a person to serve his or her country, including Letterman’s experience with the Vietnam War draft and lottery). It was hard for me to pick just one great example of Letterman and Philbin together; another lovely moment was when Letterman sat next to Philbin in the second guest chair rather than behind the desk and the two friends reminisced about old memories and even danced together a little. Michael Shannon’s first interview with David Letterman, promoting the film Man of Steel (2013), was fun to watch because two months earlier I had read an interview with Shannon in New York Times Magazine that discussed his fervent hope to be interviewed on his favorite late night talk show: “How many movies do you gotta do to get on ‘David Letterman’? All I’ve wanted since I was 15 freaking years old was to be on ‘David Letterman.’ I mean, I’m in Man of Steel. I think they all think I’ll be violent.” Shannon did in fact get to go on the show to promote his summer blockbuster and he told some fun stories about getting started in show business too. Every year for many years I looked forward to the annual telling of Letterman’s “favorite talk show story ever,” Jay Thomas’s remembrance of an encounter with “The Lone Ranger” (actor Clayton Moore) in Charlotte, North Carolina. If you’re looking for great entertainment, you’re not going to do better than Thomas’s tale, topped off by a terrific punchline. The other half of the holiday ritual is the game that Thomas and Letterman play of using footballs to try to knock a meatball off the top of a Christmas tree. It’s goofy traditions like these that I will probably miss the most when December rolls around. Clara Oswald, the Eleventh Doctor’s former companion who is still on the show (at least for a while), is as annoying as ever. She has very little personality, especially compared to the previous ladies from the last decade – Rose, Martha, Donna and Amy. I find it aggravating that a companion should be so torn as to whether she wants to continue having adventures with the most amazing being in the universe just because he transformed from looking like a guy in his early 30s to looking like a guy in his mid-50s. (Personally, I find Peter Capaldi far more attractive than Matt Smith, but maybe that’s just because Capaldi’s a better, more nuanced actor.) 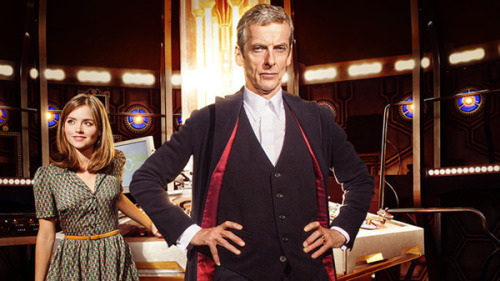 At the end of the episode there is a scene in which Clara receives a phone call from Eleven (it’s a message from the future – don’t ask), encouraging her to stick with Twelve. 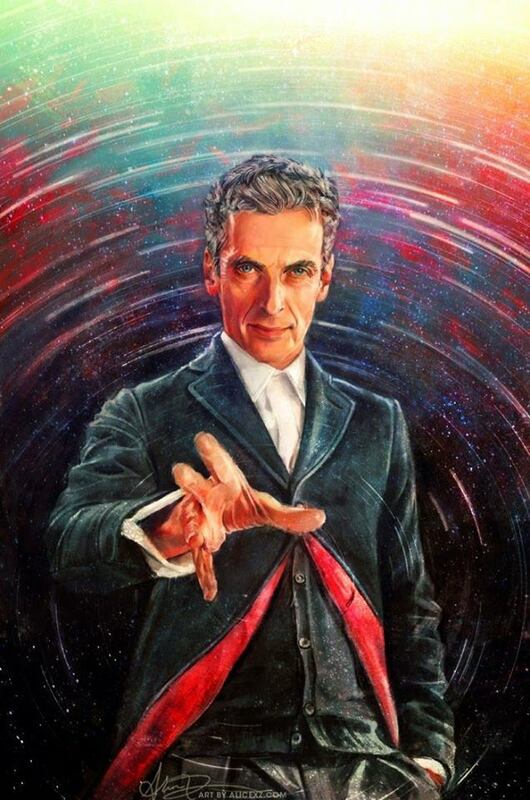 It feels like a slap in the face to the Twelfth Doctor, that his age and grey hair and “lined face” are such deterrents to Clara (who stands in for the fans) that she would no longer want to travel with him. How shallow must Clara – and the fans – be to reject a Doctor solely because of his looks? (And again, I think he’s a fine-looking gent.) Acting skill will win out in the end, I say. For a while it seemed that the plot was moving along at a pretty slow pace, but I actually sort of liked that. During the Eleventh Doctor’s past couple of seasons, it often seemed that episodes were rushed through in order to pack in as many scenes as possible; in “Deep Breath,” we take a little more time to understand what’s going on, much like Twelve trying to piece everything together in his newly regenerated, still-confused state. Speaking of regeneration, I like that the villain of the episode was running an operation that was a metaphor for the premise of “Doctor Who.” The robot-villain was trying to make himself human by taking parts from many different people; similar to the Doctors always “regenerating” with new actors (and therefore new faces), the main robot and his robot followers could choose and change new faces from many different sources. Twelve seems to recognize his face as someone from his past – is this a reference to the character Capaldi played in the 2008 episode “The Fires of Pompeii,” Caecilius? Or is the show going to an even stranger place and recalling the character John Frobisher from “Torchwood”? Fact: Madame Vastra and Jenny are definitely the best alien-human lesbian couple on television. It was a good start to the season, but I hope that Clara is booted out by Christmas and that the next companion has plenty of spark. Live from New York, It’s Don Pardo! If you spent any time at all watching “Saturday Night Live” in the last forty years, you would immediately recognize the voice that proclaimed in the opening credits, “Live from New York, it’s ‘Saturday Night Live! '” That voice belonged to Don Pardo, who passed away yesterday at age 96. For decades he was the heard-but-not-seen presence that announced cast members and sometimes narrated skits. 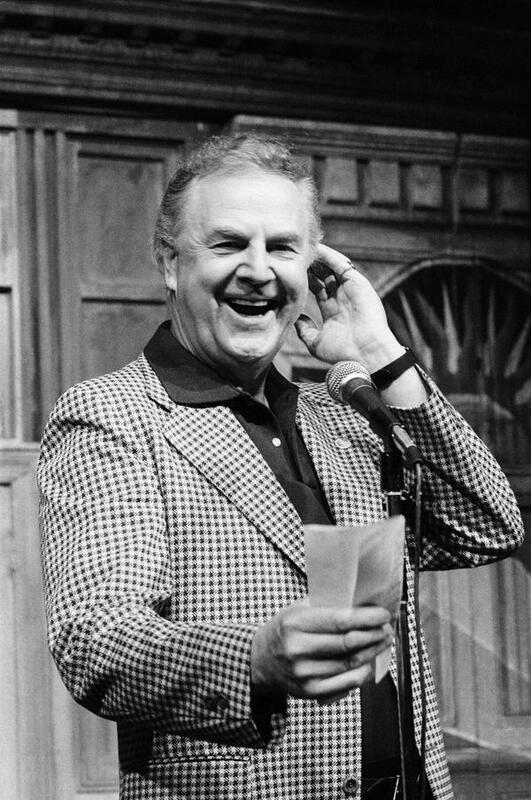 Pardo started working for NBC in 1944 with a “lifetime contract,” a distinction that was only ever given to him and to Bob Hope. Pardo worked for the NBC Nightly News and he was the first news announcer to state that President Kennedy had been shot on November 22, 1963. In 1975 Pardo began his work on “SNL” and he continued working there even after his official retirement in 2004. Through the years he also worked on popular game shows like “Three on a Match,” “Jeopardy!” and “The Price Is Right.” In 2008, Pardo was brought onstage at the end of a “Saturday Night Live” episode to blow out ninety candles on a cake for his 90th birthday. 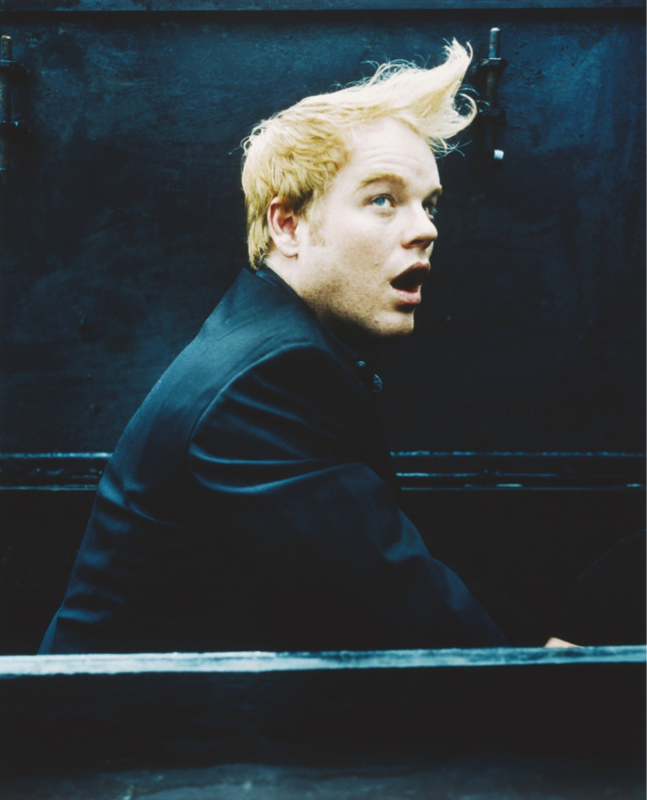 Today is Philip Seymour Hoffman’s birthday; he would have been 47 years old. In the past five months I have only been able to bring myself to see two Hoffman films that I had never seen before, the Steve Martin-starring comedy Leap of Faith (1992) and the relatively recent drama A Late Quartet (2012). In any case I would like to take a look back at some of the other performances by Philip Seymour Hoffman that I really love. I only wish I could have found a good clip from Nobody’s Fool (1994), in which the young Hoffman plays a small-town police deputy, since that was the first film performance of his that made me sit up and take notice. “Law & Order” episode “The Violence of Summer” (1991, episode directed by Don Scardino) – Making his television debut in this February 1991 (season one) episode of the long-running series, Hoffman looks very much like the 23-year-old that he was, fresh out of college and his hair still strawberry blonde (it would eventually fade into a paler, whiter shade). “Law & Order” is a show that was famous for featuring up-and-coming actors before they hit it big and this episode is no exception; besides Hoffman, Samuel L. Jackson is also featured. Twister (1996, dir. Jan de Bont) – I recently saw this disaster flick again and it was even better than I had remembered. In this scene, the gang of tornado-hunters gathers around the dinner table and Hoffman regales the group with a wild tale about one of the film’s main characters (Bill Paxton). Hoffman’s grinning countenance and unkempt red hair make his “Dusty” a loveable character. Flawless (1999, dir. Joel Schumacher) – There are problems (well, flaws) with this uneven dramedy. Hoffman’s performance, however, is wonderful. Rusty is not a run-of-the-mill straight-actor-in-drag routine. True, the part is campy, but there are some interesting depths to Hoffman’s portrayal. Statistically speaking, I don’t know how much of what is seen onscreen comes from Joel Schumacher’s script, but anyway it feels like Hoffman added that extra special something to make the role his own. The Ides of March (2011, dir. George Clooney) – Based on this film alone, I have to say that I don’t think that highly of Clooney as a director or as a screenwriter, nor do I think too well of his decision to cast the markedly bland Ryan Gosling in the lead role, but it is obvious in this scene that Hoffman was operating on a much greater level, acting-wise. Gosling looks totally lost, but Hoffman adds some oomph to the proceedings. The pretty-boy star can’t deliver, but the character actor can. A Late Quartet (2012, dir. Yaron Zilberman) – Cliched screenwriting and relationship-based melodrama threaten to overwhelm the classical music elements of the plot here, but Hoffman delivers yet another detailed characterization of another flawed man in his repertoire of flawed people. The character’s unhappiness with his string quartet partners is connected to the unhappiness in his marriage, a complicated set of issues made watchable due to the actor’s conviction in his scenes. The Master (2012, dir. Paul Thomas Anderson) – (SPOILERS: this scene is from the end of the film.) A little over a year after seeing The Master on the big screen, I still say that it is not a particularly good movie, but I can’t really deny how great Hoffman was in the title role. To quote his Lancaster Dodd character from another scene, “We are not helpless. And we are on a journey that risks the dark.” That second line could be used to sum up Hoffman’s career.